Thunderbird already turns the indicator-message icon blue when receiving new mail (Bug 957922). It should also turn blue for new messages. This is currently a default feature in Aurora (and maybe Beta now), but not very useful without notifications. 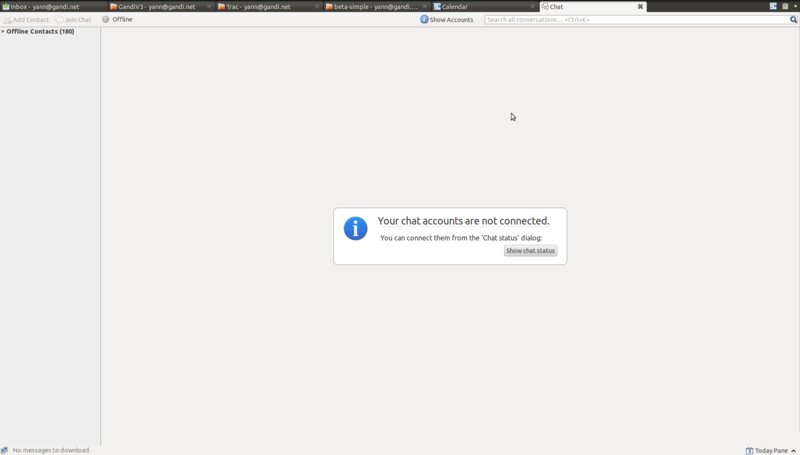 No, there is a new chat feature coming in Thunderbird (currently in thunderbird 13 beta). But it is not integrated to the messaging menu. That is blocked on Ubuntu's thunderbird getting that feature first. This has to be implemented in thunderbird, not in the messaging menu. Closing the messaging menu tasks.